History has been kind to Antoine Laumet de La Mothe, sieur de Cadillac, his fame and crest borne on the high-end cars built in the city he founded. It has no reason to be; Cadillac had no respect for history, faked his noble origins, and ensured that whatever scraps may be found about him before his arrival in Acadie in 1683 are almost certainly false. We are still no wiser. He made and lost several fortunes, not all of them his own and was as morally bankrupt as Detroit is financially. Here then is the avatar of New France in all its avaricious glory. For all this he was clearly not without skill or charm. At Port-Royal, the capital of Acadie, he entered the service of the privateer François Guion, married his daughter, Marie-Thérese, and acquired a seigneury on the Union River, now in Maine. He never developed the seigneury, preferring to the cultivate his more disruptive tendencies and went into trade with two senior officers. Informed by the irritated governor quoted above of the prohibition on officers engaging trade, he began in a typical move, to undermine the governor’s authority, first in the eyes of the clergy, then in the eyes of the people. As so often though, war intervened, and in 1691 his property was destroyed by the English, led by Sir William Phipps, and, clearly persona non grata in Port-Royal, headed for Quebec, family in tow and without a penny to his name. War though was the making of Cadillac, and while doubts about his character had spread as far as Versailles, so too had an appreciation of his extensive knowledge of the Atlantic coast. In short, with attacks coming from New York and Boston, Cadillac was useful, and despite any misgivings was to be retained and given employment. This, it may be imagined, was no hardship for the continually indebted and corrupt Frontenac, then governor of New France, and it is hardly surprising that the pair became as thick as thieves. In view of his reconnaissance work, in 1693, Frontenac promoted Cadillac to the rank of captain and gave him command of Michilimackinac, at the junction of Lakes Huron and Michigan. With the war with the English and their Iroquois allies at its height, Frontenac charged his new favourite with the most important western outpost in the French empire. His threefold task was to maintain the alliance of the western nations, keep them friendly to the French, and persuade them to fight the Iroquois. Despite his insistent reports to the contrary, Cadillac failed spectacularly in all this and almost brought peace between the Huron and the Iroquois. This “extremely confused” situation could be overlooked, and Frontenac paid attention only to the quantity of fur and cash Cadillac was sending east. Never had “a man amassed so much wealth in so short a time and caused so much talk by the wrongs suffered by those who advance funds to his sort of trading venture” remarked the commissary of the king’s troops. While others talked though, Frontenac took great pleasure in the fruits of Cadillac’s labour. Arriving in Michilmackinac with only his captain’s pay of 1,080 livres a year, after three years sent bills of exchange to France worth 27,596 livres, only a partial realization of profits earned through the sale of brandy and the fleecing of trappers, of all nations French included, who dared not complain knowing the commandant had the protection of the governor. It couldn’t last: markets are saturated and wars, so convenient for the diversion of funds, come to an end. The first of these arrived in 1696, when fearing the monopoly, up for renewal, was worthless the French government revoked all its licenses and abandoned its western garrisons. These were restored the next year, but not the licenses. With no possibility for profit, return to Michilimackinac held no interest for Cadillac. In any case, the war was over by 1698 and his protector the sure loser in a race with exposure and death. By then though, Cadillac was in France with a new plan: the establishment of a new colony which would ensure French dominance beyond the lakes. As he sold it to Pontchartrain, Louis XIV’s minister of the marine, Detroit would prevent the expansion of the English and allow for attacks on the Iroquois; would slow the fur trade as it became a centre in the west; and bring the French trappers, the coureurs de bois, under the moral supervision of the clergy. It was an attractive proposition, but while the minister was so impressed Cadillac had confidently headed back to across the Atlantic, others like Vaudreuil, the new governor in Quebec, were less convinced: either alliances would not survive old hatreds or new ones would be formed against the French, perhaps even led by the Iroquois; more to the point, success in Detroit would lead to the collapse of the old colony. It took a hasty return to France to persuade Pontchartrain that Detroit was vital to the dominance of the interior before in 1701 Cadillac and Alphonse Tonty, La Salle’s lieutenant established the settlement. Even before its establishment, Cadillac had petitioned for Detroit as separate colony. With Vaudreuil now his enemy, he mounted a campaign against the old warrior’s oversight. Enlisting the aid of Claude de Ramezy, the governor of Montreal, and the attorney-general of the Conseil Superieur, Vaudreuil was accused of wanting to control the fur trade and extremely displeased to see placed in charge of Detroit “a man who was put there by someone other than himself and on whom he could not count fro support in his greedy designs”. Vaudreuil’s response was reason; noting that these men were united only by their greed and ambition, that Cadillac had given Ramezy a stake in the new settlement, that Pierre Le Moyne d’Iberville, founder of Louisiana, had been contacted to ship fur down the Mississippi, if it were not sold directly to the English, and that he himself had been offered a bribe to turn a blind eye, Vaudreuil turned the matter over to Pontchartrain whose reprimands lasted only until 1707 when war almost broke out between the Huron, the Ottawa, and Miami at the till then ever peaceful, ever profitable Detroit. Only at this point and with understandable reluctance, did Pontchartrain consider the matter. What he discovered was a disaster, and a miserable one at that. Rather than the thriving settlement described in Cadillac’s dispatches, were 62 Frenchmen and few hundred First Nations, most of them hostile to each other, all hostile to their governor, scratching out an existence on a paltry three hundred and fifty acres of cultivated land. Cadillac was selling brandy at five times the price he had paid for it, and far from consolidating French control, it had been jeopardized as Detroit became a satellite of New York and fur was sent – in the care of the Iroquois! – to Albany. Having let in the clear light of day, Pontchartrain did all he could to find the darkest corners to bury his mistake. He ordered Cadillac, unpunishable without drawing attention to himself, directly to Louisiana, the most “wretched” colony in the French empire; in his place, he put a man whose incompetence he confidently expected to bring about the collapse of Detroit. After which, he presumably gave a sigh of relief and hoped that the door he had just so firmly closed would never be opened again. Formed ten years before by his putative accomplice, d’Iberville, even Cadillac despaired of Louisiana. It was, he declared, inhabited “by gallowsbirds with no respect for religion and addicted to vice”. With France broke after the War of Spanish Succession, Pontchartrain planned to off-load the colony and so turned to Cadillac, who had disobeyed his orders and returned to France, for his more reliable services as confidence man. It was merely a question of repeating the trick Pontchartrain had been victim of twelve years earlier. Their gull was Antoine Crozat, one of the richest men in France. It went off beautifully. Reluctant at first, with Cadillac’s help Crozat swallowed, the tales of immense mineral wealth, duly coughed up six hundred thousand livres, formed a company to administer his investment, and placed Cadillac at its head. Crozat was not entirely stupid though, and through the other appointments and the arrangement of offices he restricted Cadillac’s freedom. Nor was Cadillac himself entirely negligent; he discovered a copper mine in the Illinois country, and if the Spanish governors of Mexico took greater heed of their instructions not to trade with foreigners, that was not his fault. Still, he was soon antagonizing Jean-Baptiste de Bois Duclos, the equivalent to the Intendant, whom he’d warned of his dangerous and superior mind. In a fair assessment, Duclos agreed with the danger, not because of the superior mind but because Cadillac was “very troubled and very restless” and otherwise “the most barefaced liar [he had] ever seen”. Things became childish. When Le Moyne de Bienville, Iberville’s brother, refused to marry Cadillac’s daughter, he was visited by petty officials sent by the governor to inform him he was “dolt” and a “fop”. The end was as predictable as it was tedious. Disappointed in his expectations of Louisiana Crozat looked to sell the colony. Even more predictably, he and Cadillac fell out over money, each accusing the other of withholding profits and wages. By 1716 Crozat had found a buyer, the Compagnie de l’Occident, and on 3 March 1716 Cadillac was ordered back to France. Less than a month after his return, he and his eldest son were in the Bastille, lest any vituperative truth-telling about the “monstrous confusion” reach the public and damage the sale and the new owner’s attempts to populate this new Eldorado. Their stay was brief, only a few months, and on his release, Cadillac received his salary in full and the cross of the order of Saint Louis. His campaign to be restored to Detroit resulted in only the grant of some land which he never visited. Instead he purchased the governorship of the Pyrennees town of Castelsarrasin. For the sake of the inhabitants, it can only be hoped that they were spared the experience of Michilmackinac, Detroit and Louisiana as Cadillac’s final years are as obscure as his first. Yves F. Zoltvany, “LAUMET, de Lamothe Cadillac, ANTOINE,” in Dictionary of Canadian Biography, vol. 2, University of Toronto/Université Laval, 2003–, accessed October 12, 2013. Updated 7 February 2015 to correct various errors of grammar and style. 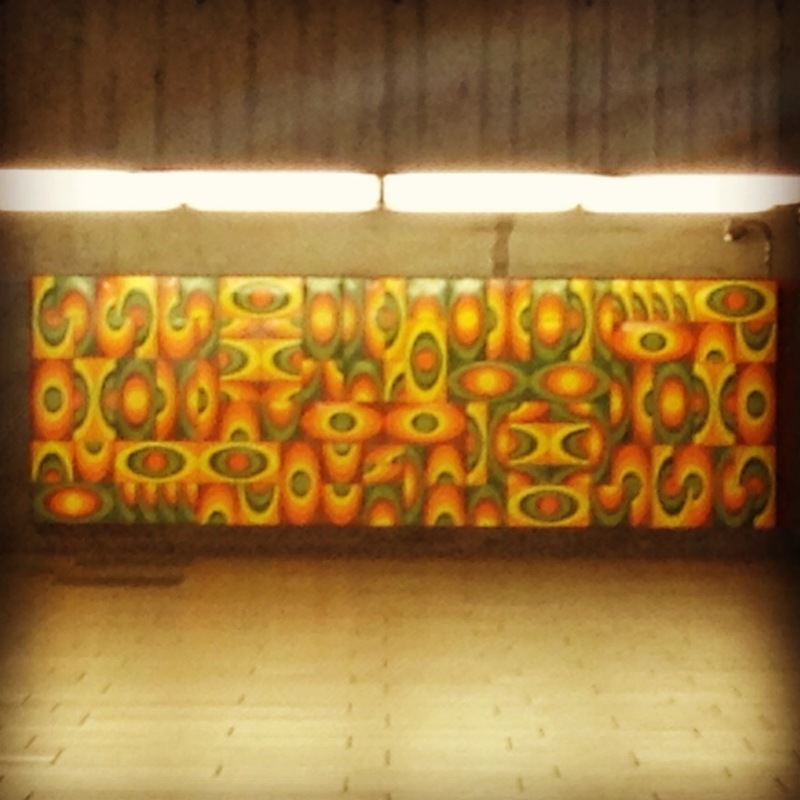 Posted in Green Line, Montreal Metro. Tagged Acadie, Antoine Laumet de La Mothe sieur de Cadillac, Cadillac, Detroit, Frontenac, Iberville, Louisiana, metro, Michilimackinac, montreal, New France, Pontchartrain.